Lovejoy’s Bar & Grill was named after one of early Laramie’s most important businessmen, inventor Elmer Lovejoy. Elmer Lovejoy arrived in Laramie at the age of thirteen. He attended high school in Laramie and enrolled in the University of Wyoming. He left college after three months to work at the Callahan planning mill, learning a trade that would later put him in charge of the construction of Ivinson Hall and St. Matthew’s Cathedral. 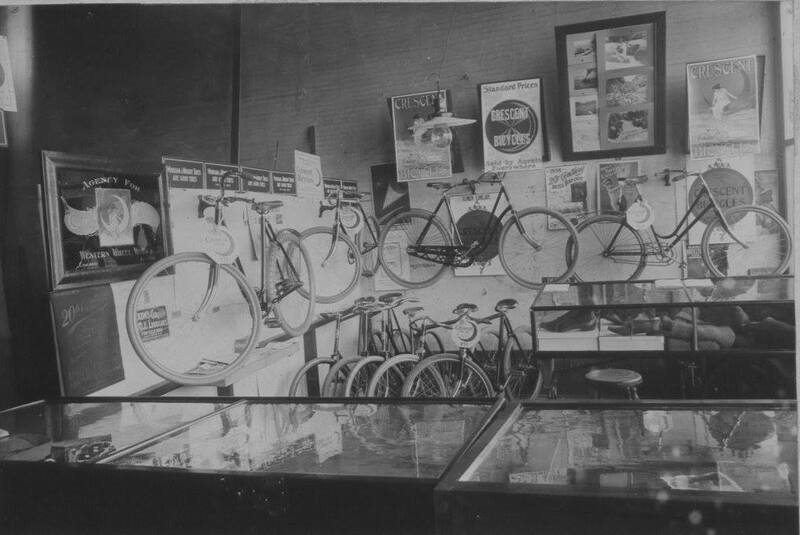 His love of travel and mechanics prompted Lovejoy to open a bicycle and novelty shop in Laramie in the late 1800’s, where he repaired bicycles and began to dream of a modern mode of transportation. After riding his bicycle from Laramie to Chicago, he decided there should be a more comfortable means of traveling across the country. 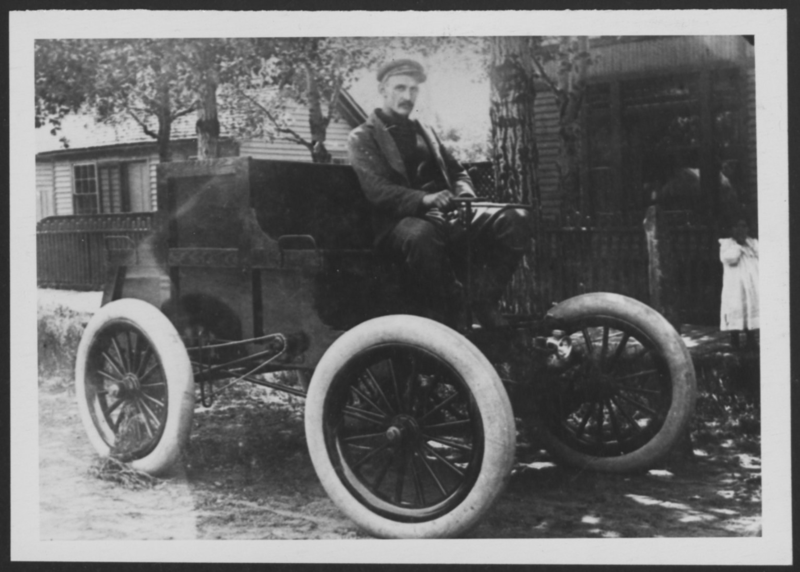 So, in 1895, he set out to create the first “horseless carriage” west of the Mississippi. Lovejoy’s first car looked much like an old beer wagon without horses. It was built around a one-cylinder, two cycle marine engine and was driven by two chains connected to both rear wheels. It had a T-bar tiller for the operator to guide it down the street. Lovejoy, speeding in his car at eight miles an hour, became a familiar site in Laramie. In 1896 Lovejoy added balloon tires to his contraption, the first balloon tires ever made for an automobile. 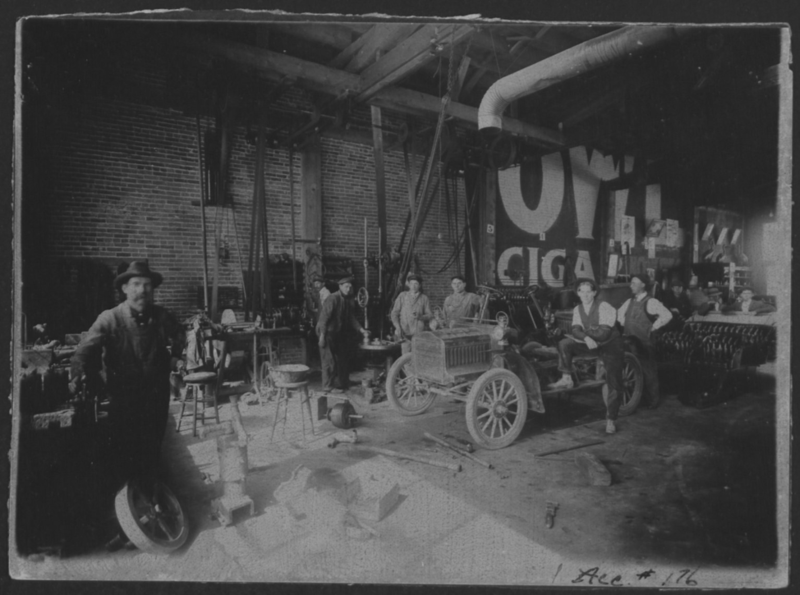 In 1920, a modern tire manufacturer stumbled across balloon tires and hailed them as the “latest automotive achievement” – long after they had become and “old hat” to Lovejoy. Lovejoy’s inventions spanned far beyond his horseless carriage. Lovejoy designed a road map, pointing out places of interest around Wyoming and in particular, Laramie. The idea was a hit and the first road map in America was printed in 1912. In 1917, he invented an automatic garage door opener. Lovejoy lived in Laramie until 1953, when he moved to the west coast. He died in California in 1960. ** Information obtained from the Dec. 5, 1952 edition of the Laramie Daily Boomerang. The article, “This is Life…in Laramie,” was written by Vandi Moore.